Vancouver is a city on the southwestern corner of Washington State, and the largest suburb of Portland, Oregon. The median age of residents is 36.4 years old. The Vancouver demographic is composed of 73% White, 11.5% Hispanic, 5.25% Asian and 10.25% other or mixed races. 14.8% of the population of Vancouver is living below the poverty line. The largest demographic living in poverty are white females, ages 25-34, followed by 18-24 year old females, then females 35-44. Vancouver has a large population of Vietnam veterans — 1.85 times more than veterans of any other foreign conflict. Located as the county seat of Clark County, Vancouver is the fourth largest city in Washington State. If you live in Vancouver, and have fallen victim to substance abuse don’t hesitate to seek treatment. There are enormous resources in at your disposal. With many vineyards and breweries, Washington State is known for it’s alcohol production, and consumption. Washington has more bars per capita than 30 other states in the US, an indication that bar-hoping is a part of many Washingtonians lives. Perhaps because of this emphasis on drinking culture, alcoholism is on the rise in Vancouver and the state of Washington as a whole. Washingtonians drink and drive more than any other state in America, according to a 2014 report from the CDC. Drinking and driving affects more than just the inebriated person behind the wheel. Drunk driving accidents can claim or affect the lives of innocent people as well as harming or killing the offender. Between 2003-2012, drunk driving accidents claimed the lives of 1,921 people, and the number is on the rise year after year. Even if avid drinkers avoid getting into a potentially deadly collision, DUI penalties are severe in Washington. Culprits may be sentenced to up to 364 days in jail, and/or have their license suspended for 90 days. Upon regaining driving privileges, offenders must pay for an ignition interlock device which requires them to blow into it, testing their blood alcohol level prior to the car starting. Insurance costs also go up once someone gets hit with a DUI, and legal fees and fines add up. The average Washington DUI ends up costing between $6,575 and $10,634. Additionally, once someone is convicted of a DUI, it may be hard for them to find employment. It is reported that about one out of ever three people convicted of a DUI have prior convictions. If you or someone you know struggles with alcohol abuse, there is help. We can help get you on the road to recovery. While meth production is on the decline, it still posits a big problem for Washingtonians. While it’s more difficult to mass-produce methamphetamine due to Washington’s law-making efforts, there are still small scale “one pot” operations scattered throughout the state. The Northwest High Intensity Drug Trafficking Area Program (HIDTA) reports that meth is the most commonly abused drug in the state, and the main substance involved in drug-related violent crimes, Methamphetamine is incredibly addictive, and one of the most common reasons people seek substance abuse treatment in this area. 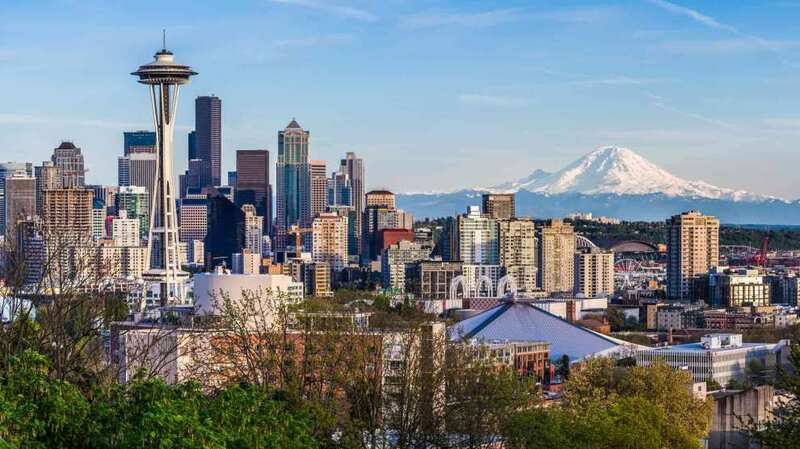 It is estimated that approximately 3% of Washington residents suffer from substance dependence on drugs such as meth, but only about 10% of those addicted seek help. If you or someone you know are using meth or other illicit substances, please seek help. There is no time like the present to get clean and we can help you find a treatment that is right for you. Because of meth’s incredibly addictive qualities, if someone uses once or twice, the likelihood of them becoming addicted is very high. Once the body and brain become dependant on these chemicals, the person will go into withdrawal as soon as they discontinue use. Meth withdrawal can be very difficult, dangerous and uncomfortable, which often drives the user to seek another fix rather than experiencing the withdrawal symptoms long enough to fully detox. While meth keeps the user awake and alert while they are high and suppresses the appetite, it is common for those detoxing from meth to eat and sleep more than usual. While these symptoms are intense, the brain and organs may recover from this potentially deadly addiction if the user maintains abstinence long term. The sooner you seek help for methamphetamines, the better chance there is of full recovery. In addition, efforts have been made state-wide to ensure healthcare providers as well as those at risk of opiate overdose are equipped with Naloxone, a lifesaving opiate overdose antidote. Vancouver isn’t out of the woods yet, though. Fatal Fentanyl overdoses increased threefold in Washington between 2015 and 2016, rising the death toll from 28 to 70, 3 of which occurred in Clark County. Though these statistics aren’t as high as other states in the country, there are rising concerns due to the deadliness and potency of drugs like Fentanyl. Heroin and Fentanyl aren’t the only opiates causing problems in the area. Residents of all genders, classes, ages and ethnicities have been shown to struggle with prescription opioids such as Oxycontin, Percocet and Vicodin and Hydrocodone. Doctors and dentists may legally prescribe these drugs to relieve pain temporarily, and the user becomes addicted. Once prescriptions run out, those who find them hard to live without may turn to buying prescription drugs on the black market, or turn to the easier to find, and often cheaper alternatives such as heroin. 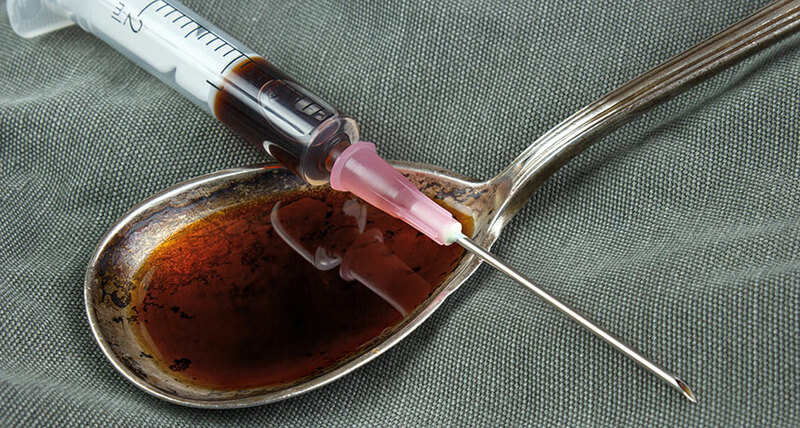 39% of intravenous heroin users admitted to a dependence on prescription drugs prior to heroin use. This isn’t the first time Washington has been at the epicenter of the opioid epidemic. It was also a primary center in the late 1990’s, when the first heroin boom hit. Shatter – a hard, breakable solid. Compared to it’s traditional use, dabbing has increased dangerous side effects due to it’s intensely concentrated amounts of THC. Production of these resins is also dangerous as the process involves butane. Resin makers are at risk of fire, explosions and extreme burns. If you need help recovering from marijuana dependance, we can help. Give us a call today to get started on the path to a sober life. Substance abuse programs are available in Vancouver, Washington. It’s never too early to seek help with an addiction, and the sooner you do, the quicker you can begin a new life, free of the risks and complications addiction brings. There are several steps in the treatment process, no matter what substance is involved. The first step to a sober life is an addiction assessment and pre-intake interview. This will help healthcare and substance abuse professionals assess the degree of dependence or addiction to the substance or substances involved, and enable them to come up with a treatment plan that will chart your path to recovery. Questions may include those relating to the length and frequency of use, risky behaviors you may have engaged in, your physical and mental health history, any legal trouble you may have run into due to substance abuse, and how your family, employment and relationships have been effected. You can find online assessments that can help you determine if treatment is necessary, though many facilities prefer to conduct pre-intake interviews over the phone or in person. While it may be uncomfortable to answer these personal questions, remember that these professionals are here to help you, and it’s important to answer them honestly for the best results. During pre-intake you should ask any questions you may have about the facility, the care and treatment you’ll be receiving, what will be required of you, the length and duration of your stay, and what you can bring. Many treatment facilities place limitations on how and when you can see family and friends, as well as whether or not you can leave the facility. You may also need to make travel arrangements to get to the facility when you are admitted. During the intake process, you will be officially emitted into a rehabilitation facility. This is the first big step to starting a clean, healthy life. During the intake process, more questions may be asked as to your substance abuse habits, any medication you may be taking, family history, and more. There may be mental and physical health screenings at this time as well. Once again, it is crucial to your future sobriety for you to be as open and honest as possible during this process, and all steps of your subsequent treatment. While it can be difficult and even embarrassing to be open and vulnerable during these first stages, it will help these professionals better understand your addiction, this giving them and you the building blocks for a treatment plan you can adhere to. Studies show that those who are involved and actively invested in their recovery stay sober longer and have less probability of relapse than those who lie or simply “go through the motions”. Detox is a vitally important step in treatment. Detoxing is the process of eliminating the toxic substances from ones body. During detox, addicts commonly experience withdrawals from the substance or substances they were frequently using. Each person experiences withdrawal differently, as each person’s using habits are different, but there are common withdrawal side effects that are unique to each category of drug. Typically during withdrawal, individuals experience effects that are opposite of the effect the “high” of their drug of choice gave them. For example, meth users while high will go long periods of time without eating or sleeping, but during detox their appetites will be insatiable, and they can be tired and fatigued, sleeping much more than normal. While detoxing from some substances is fine, if not uncomfortable, to do at home, there are times it can be dangerous to do alone. Detox facilities have clinical staff which monitor patients around the clock, checking vital signs and client status’ to observe and prevent adverse affects. Some withdrawal symptoms can be lessened with the use of closely monitored prescription drugs, such as Suboxone (buprenorphine) or Vivitrol (naltrexone) for opiate addicts. These highly trained professionals may also prescribe medication to help with other widely experienced withdrawal symptoms such as nausea, agitation, anxiety and depression, as well as administer nutritional supplements and rehydration for those experiencing malnutrition and dehydration due to drug use. While each drug has a different half-life and thus, stays in your system a different amount of time, the period of detox varies depending on the substances abused. You can expect to stay in a detox facility anywhere from a couple of days to a few weeks. Detox is just one step of many in the treatment process. Once the addict is free of the substances grip, it’s time to start a rehabilitation program to get to the core of the addiction and ensure that addict doesn’t relapse. Once a patient has successfully detoxed from the substances causing addiction, it is time to begin the process of healing and recovery. There are different treatment methods available, as no treatment method is one-size-fits-all. There are pros and cons to each form of treatment, so it is up to you and your support team to decide which is best for you. For help finding a treatment facility in the Vancouver area, give us a call today. Inpatient treatment services fall under two categories – Partial Hospitalization Programs (PHP), or Residential Treatment Centers (RTC). These treatment programs may take place inside a hospital, or may be in a separate treatment facility. Some inpatient treatments offer detox services, while others may require the patient to detox prior to admittance. The most intensive form of treatment, RTC’s offer round the clock care and a structured, safe, drug-free environment. A patient admitted to an RTC will live in the facility 24/7 for the duration of their stay. The benefits of this type of treatment are innumerable, including the ability to fully immerse oneself into the recovery process without the distraction or added stress of family, friends, significant others, work, school, etc. These programs can last anywhere from a few weeks to a year, and involve hours of group and individual therapy, cognitive and behavioral therapy, specialized groups for co-occuring illnesses, medication administration, and an overall focus on building the tools to overcome addiction. Similar to RTC’s, PHP’s are intensive and structured, offering hours of both group and therapy daily. The primary difference between a PHP and an RTC is that PHP programs permit their patients to go home at night, and require them to return in the morning. This type of program is particularly helpful to addicts who have supportive and structured home environments, as they have limited supervision once they leave the facility in the evening. In most types of treatment facilities have an emphasis on mental and physical health, often offering exercise programs or gym access, as well as spiritual practices and 12-step program integration, in addition to the talk therapy provided. Some treatment centers also include education opportunities. It’s important to speak with a treatment advisor and your insurance provider about the cost of treatment, as inpatient treatment is the most expensive form of treatment. Outpatient treatment is a good option for those with significant responsibilities in their lives, such as school, work, or familial obligations. Outpatient services offer less structure and supervision than their inpatient counterparts, but have still proven to be beneficial, particularly to those who are dedicated to their recovery. The main form of Outpatient Services for substance abuse is Intensive Outpatient Programs, or IOPs. These programs are similar to PHP’s in that they offer individual, group, and sometimes even family or couples therapy, but rather than being all day everyday, IOP’s expect their patients to be present for 10-12 hours a week. This offers the patient the opportunity to resume their daily obligations such as school, work, or caring for a family, and attending therapy in the morning or at night, as it fits their schedule. Because of this more relaxed approach and lack of supervision, IOP’s rely on their patients discipline and accountability to remain sober. Outpatient programs are also a great stepping stone or continuing treatment plan for those who have already completed a more intense form of treatment, or are not financially able to enroll in one. Just as detoxing is but one (big) step in a long journey of recovery, so is treatment. Any addict will tell you that recovery is a life-long process, but the sooner you get started, the sooner you can start reaping the benefits of a clean, healthy, sober life. Once you complete treatment, whether inpatient, outpatient, or both, you will want to begin an aftercare plan. Aftercare plans may involve continued individual, group, family and/or couples therapy, medication, and 12-step meetings and sponsorship, among other things. The role of aftercare is to ensure successful integration back into daily life, and implementing and building on the tools of recovery you learned in treatment. It also ensures added accountability and support to prevent relapse. Many residents find that living in sober environments is helpful to their recovery if all members follow the rules put in place. It is beneficial for recovering addicts to live among fellow recovering addicts, as they are able to relate to the struggles and successes of addiction and sobriety. In this type of sober environment, they can learn to manage real-world triggers and temptations, while having a built-in support system at home. Many sober living environments encourage “buddy systems” and 12-step program attendance. If you or a loved one is ready to start the road to recovery, give us a call today.